WATER, WATER, EVERYWHERE! 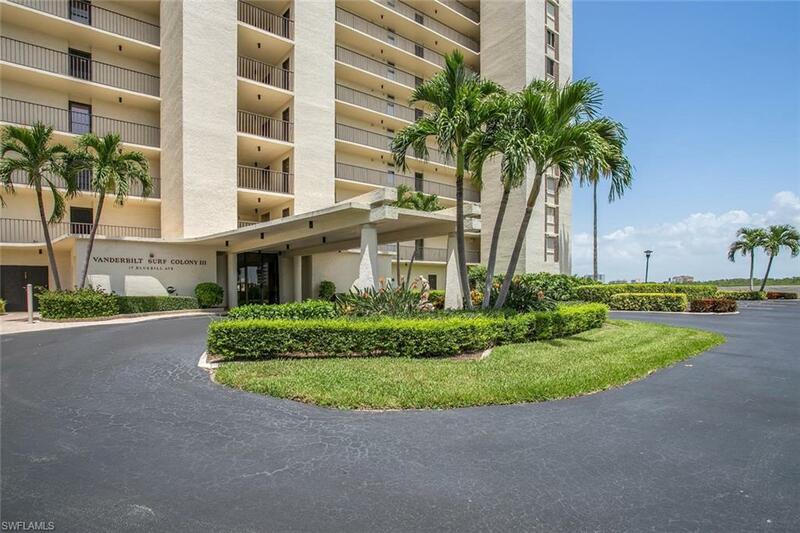 Enjoy spectacular views from every room in this beautiful 6th floor condominium overlooking The Gulf of Mexico and Bay all the way to Sanibel Island! Recently refreshed with newer A/C, tile flooring, renovated shower in master, ceiling fans, LED lighting and hurricane shutters for piece of mind. Furnishings have a fun tropical feel and are included in the purchase. 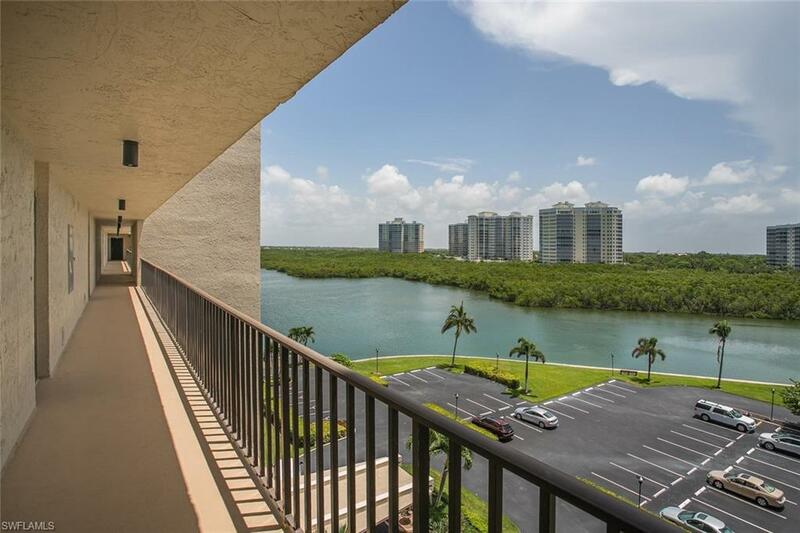 The expansive balcony can be accessed from all rooms to enjoy those beautiful Bay breezes. 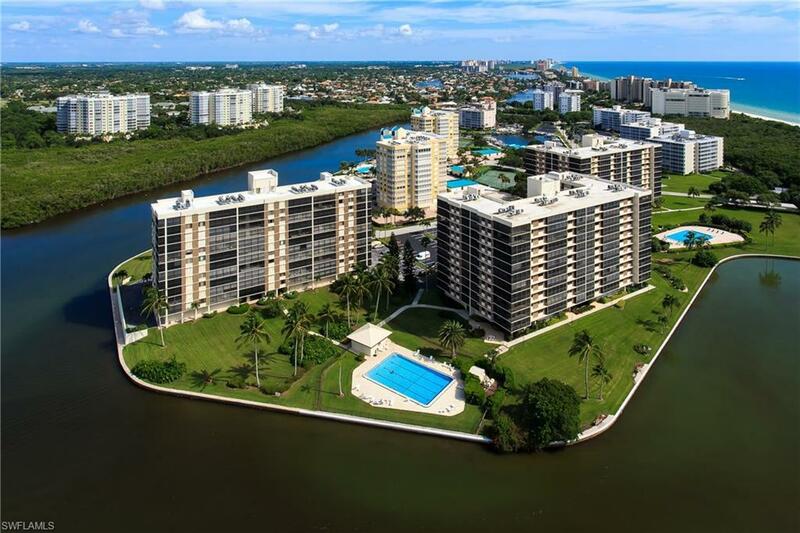 Enjoy the amenities at Surf Colony: olympic size heated swimming pool, barbecue area, social room, tennis, fishing, lush tropical landscaping and assigned parking and boat docks available for lease with direct access to the Gulf. 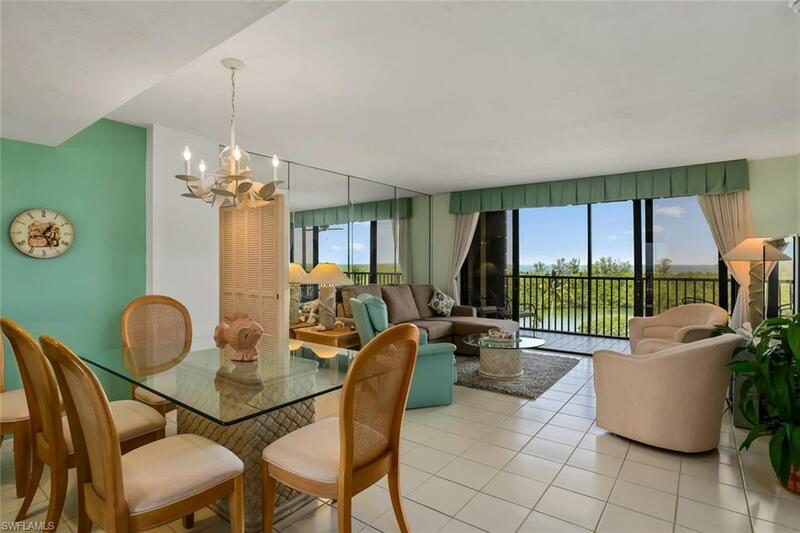 Minutes to one of the Top 10 Beaches in the country, Delnor Wiggins State Park, and conveniently located in highly sought-after North Naples area, where shopping at some of the finest boutiques and dining at top notch restaurants are within a few minute drive. Mercato Shops, Whole Foods, Pavilion Shopping Center, Trader Joe's, Waterside Shops, Naples Philharmonic are just a few of the "HOT SPOTS" you will be able to enjoy! Great rental possibilities if youre seeking some income!